The Utah Outliers return to action this weekend as they head to Colorado for a three game matchup against the Steamboat Wranglers. This set will be the second last road trip of the regular season, as Utah only has 6 games remaining in the season before the playoffs begin. It has been some time since these two Mountain Division opponents have seen one another, as their previous meeting took place in early October of 2018. In six games this season, Utah holds a perfect 6-0 record. At home the Outliers won by a combined margin of 18-4 (3 games), whereas on the road, the Wranglers have been outscored by a 27-9 margin (3 games). A lot has changed since these teams battled, as both programs have grown and experienced a lot over the course of the year, new additions have been made to the rosters, etc. 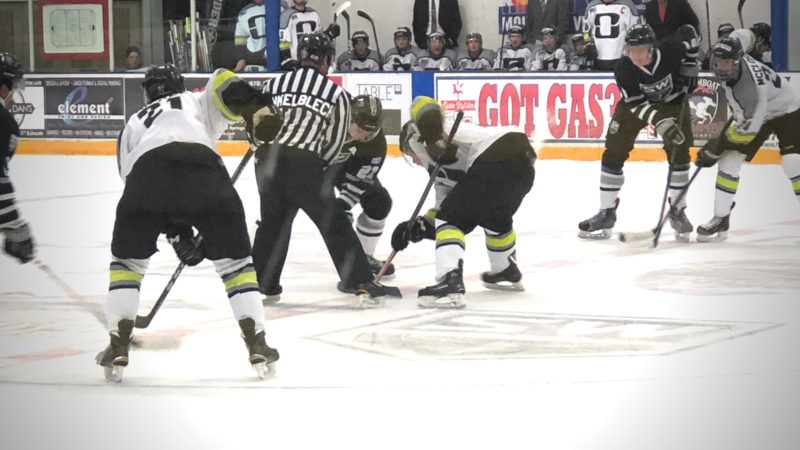 The Outliers are looking to bounce back after two tough losses at the hands of the Ogden Mustangs. Gearing up for the playoffs, every game is crucial in gaining momentum and getting on the right page as the second season begins. Utah will be looking to get back to their defensive prowess while again working to become more consistent offensively. With only six games until the post season, three wins could be a very positive step in the right direction. The Wranglers are still in the fight for a first round home series in the playoffs. Currently sitting in fourth place, Steamboat is just one single point ahead of the Cheyenne Stampede, however they do have three games in hand. They are 2-3-0 on the road in Cheyenne, and 1-2-0 at home against Cheyenne. In the playoffs, the intensity ramps up, and home ice can give a team a major advantage in collecting an added boost hoping to win games. A few players on the Outliers are looking to etch their names in the record books. Goaltender Oscar Wahlgren is just 4 wins away from becoming the regular season and all time wins leader in Utah history. Captain Zach Dornseifer is just 3 goals from the all time goal record, 11 assists from the all time assist record, and 14 points from 1st all time in points. Matt Bartel is also looking to make his name known, as he needs just 2 goals to break the record for most goals by an Outlier in one season (currently held by Kane Toriumi and Dylan Massie). Despite their record, the Wranglers’ attack has stemmed from balance, as six players have double-digit goals. When they have been able to find success, a lot of the credit belongs to the fact that a number of players have been able to step up. Leading the way in the goals department is Tristen Wells with 14. The Albert brothers Avery and Adam have been great from the back end as well with 24 goals combined. Another positive for the team has come in their younger players. Sebastian Culver (2001 birth year) / Jeremy Landers Jr. (2001 birth year) / Jordan Belley (2001 birth year) have all been taking charge for Steamboat. Culver and Landers are leading the way with 35 and 32 points respectively, while Belley has an incredible 882 saves, 91 save percentage, and is leading Wrangler goaltenders in wins. All three games will take place at the Howelsen Ice Complex in Steamboat Springs, CO. Friday night puck drop is scheduled for 8:00 PM, Saturday at 7:00 PM, and Sunday at 12:00 PM. Be sure to stay tuned in on blackdogenterprises and also social media for more information and updates on the weekend’s contests.